A number of hoax posts on Facebook claimed renowned celebrities were moving to various small towns across America. A well-known celebrity is moving to your town after briefly visiting and discovering "people were people," "whose sincerity you didn’t have to question." Is Taylor Swift really moving to Gig Harbor, Washington? Did Justin Bieber buy a house in Wildwood, Missouri? 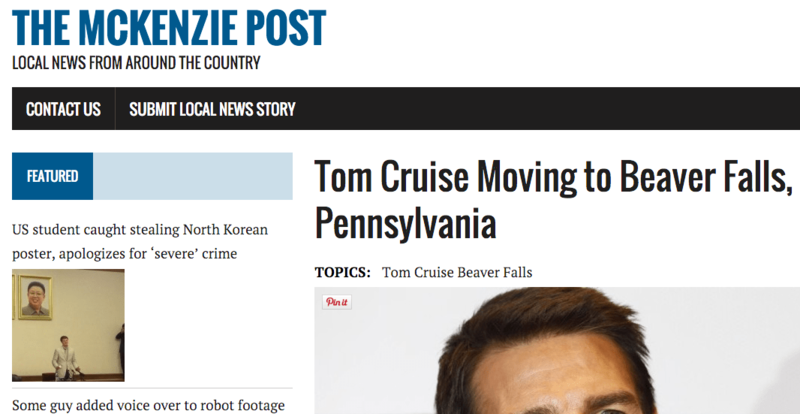 I saw on Facebook that someone posted that Tom Cruise is moving to Beaver Falls, PA. Can you find out if this is true or just a rumor? 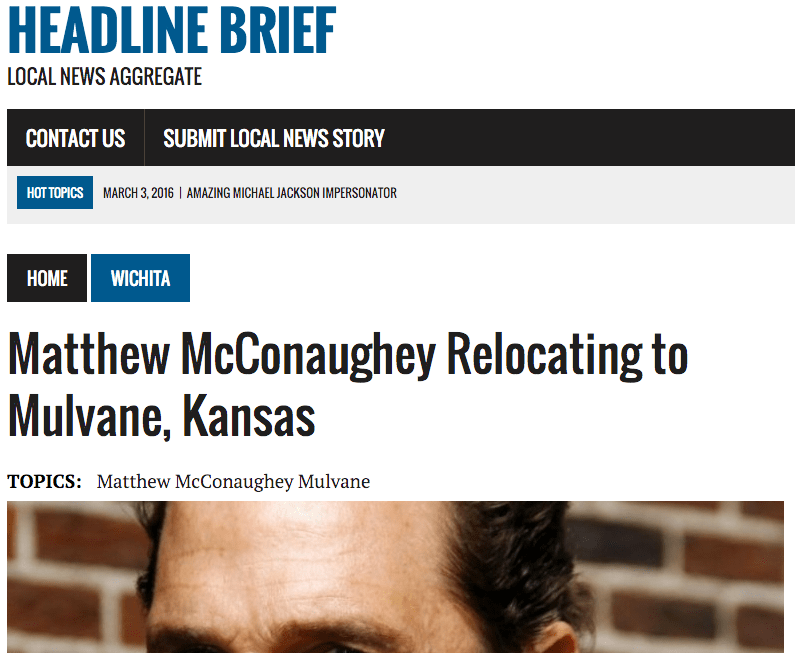 Some website is saying Matthew McConaughey Relocating to Mulvane, Kansas. i believe this is false but my friends all up in an uproar excited he is moving here. McKenziePost.com says Clint Eastwood is moving to Hot Springs, AR. Rumor has it that Justin Bieber is moving to Sandy, Oregon. True or False? I just read on Facebook that Brad Pitt and Angelina Jolie were moving to Breaux Bridge, LA. Sounds crazy to me. Is Justin Bieber moving to Gulf Shores, Al? Saw a rumor on Facebook that Justin Bieber is moving to Wildwood,MO. Since I live close by in Chesterfield, MO, was curious if this can be Snoped. It was posted by a group called Mackenzie Press. McKenzie.com is reporting that Brad Pitt is moving to Berea Kentucky. Is this true? On or around 28 February 2016, we began receiving a large volume of e-mails asking whether myriad very famous people were moving to assorted small towns across the United States (and some in Canada). in some instances, celebrities (including Tom Cruise and Justin Bieber) were purportedly moving to multiple non-metropolitan areas all at the same time. The queries appeared out of nowhere at around the same time, as if an exodus from Hollywood occurred en masse for some unstated reason. The second thing that made us raise an eyebrow was that all these tidbits of entertainment reporting came from what appeared to be solely two websites — Headline Brief and McKenzie Post. Either two visually identical and, until that point, unknown outlets had suddenly cornered the market on celebrity real estate scoops, or a new social media prank generator was afoot, causing confusion on social media. We’re told that Mr. McConaughey discovered the town while driving through the area not long ago and apparently fell in love with the small town and the state of Kansas. We’re not sure what the residents of the town will think about his move there but we imagine he’ll be received with a warm welcome. If nothing else, having such a famous resident will undoubtedly be a bit of an economic boon for the town. Not a lot of people have heard of the small town of Beaver Falls, Pennsylvania, but Tom Cruise happens to be one of them. Located about 30 miles outside of Pittsburgh, Pennsylvania, Beaver Falls is a peaceful town filled with people who have almost no connection to the Hollywood lifestyle that Tom Cruise wants to escape and that’s exactly what he likes about it. 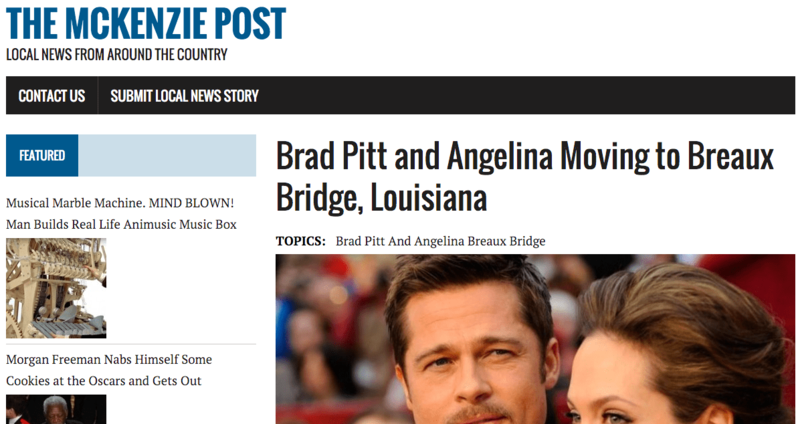 Not a lot of people have heard of the small town of Breaux Bridge, Louisiana but Brad Pitt and Angelina Jolie sure have. Located near Lafayette, Louisiana, Breaux Bridge is an artsy town known as the Crawfish Capital of the World and filled with people who have almost no connection to the Hollywood lifestyle that Brad and Angelina desperately want to avoid and that’s exactly what they like about it. Though they have a home in France and are still looking for a home in the UK they’ve decided to move back to the US to be closer to Hollywood, but not too close. Angelina had recently visited Breaux Bridge while scouting out a film location and according to insiders, “Angelina immediately fell in love with the relaxed lifestyle and the small town southern charm of Breaux Bridge and was telling everyone that they were going to move there.” Brad, who was with her, apparently agreed. “It would be a great place to raise their kids,” sources claimed. Headline Brief is a fantasy news site. All news articles on headlinebrief.com are satire or pure fantasy. The McKenzie Post is the premiere fantasy news site in the world! All news articles on mckenziepost.com are satire or pure fantasy. How the celebrity move hoax posts were generated remained unclear, but it was safe to say none of the rumors were rooted in any fact whatsoever. Both McKenzie Post and Headline Brief operated in a similar fashion to the prank generator FeedNewz, enabling users to submit fake stories (by which they profited through the tendency for people to share such items with Facebook friends). 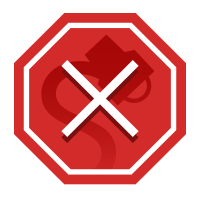 Sharing the phony news reports did no direct harm, but contributed to an atmosphere in which spreading misinformation was rewarded by advertising revenue, thus encouraging additional hoax purveyors to get in on what appeared to be a very lucrative racket.